My arms are yelling enough, enough already!! Blocking on these fenders takes a toll on your muscles. 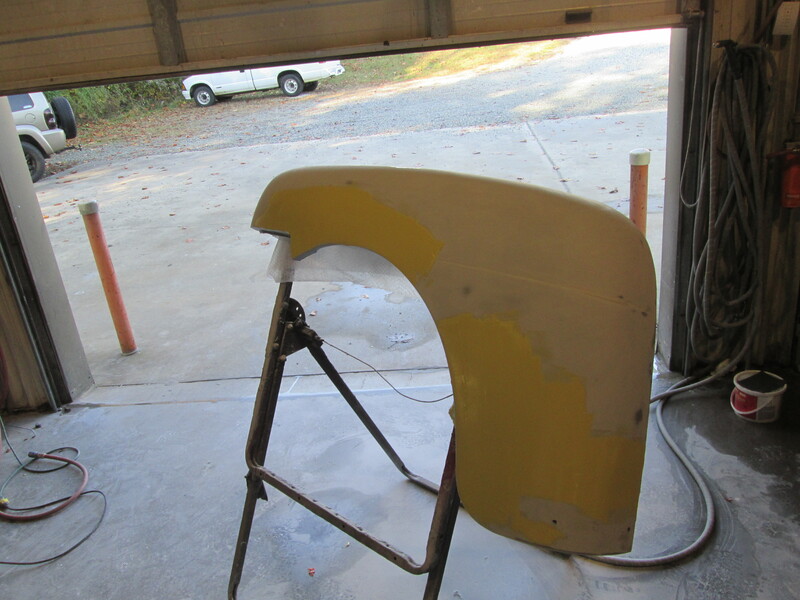 These fenders were sprayed with slick sand yesterday and today were blocked out and body work started. 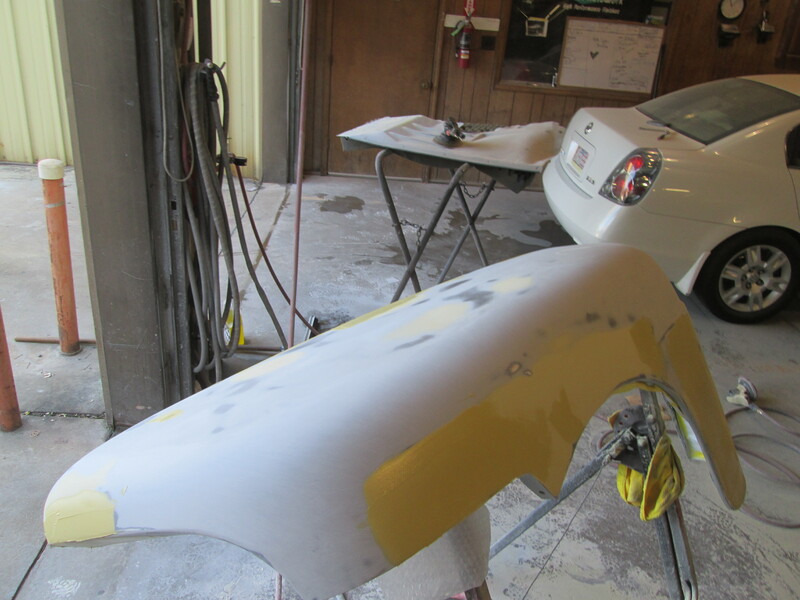 The darker spot on the fenders before any filler was applied shows the low spots. 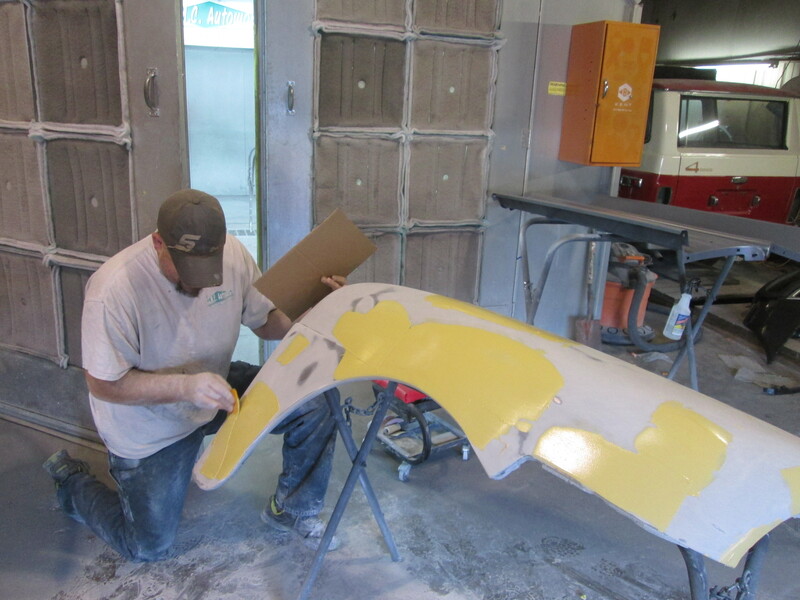 These low spots will require body filler to straighten out the panel. 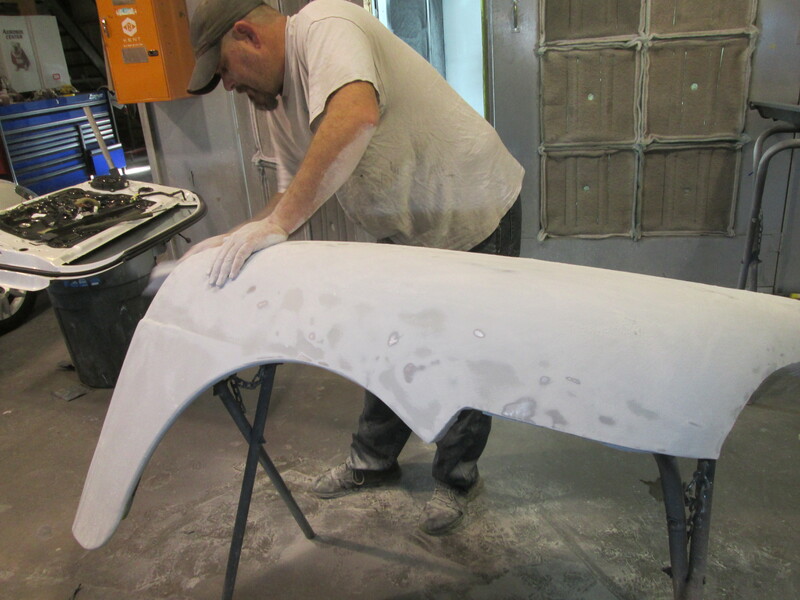 We blocked these fenders with 80 grit sandpaper to highlight these bad areas. 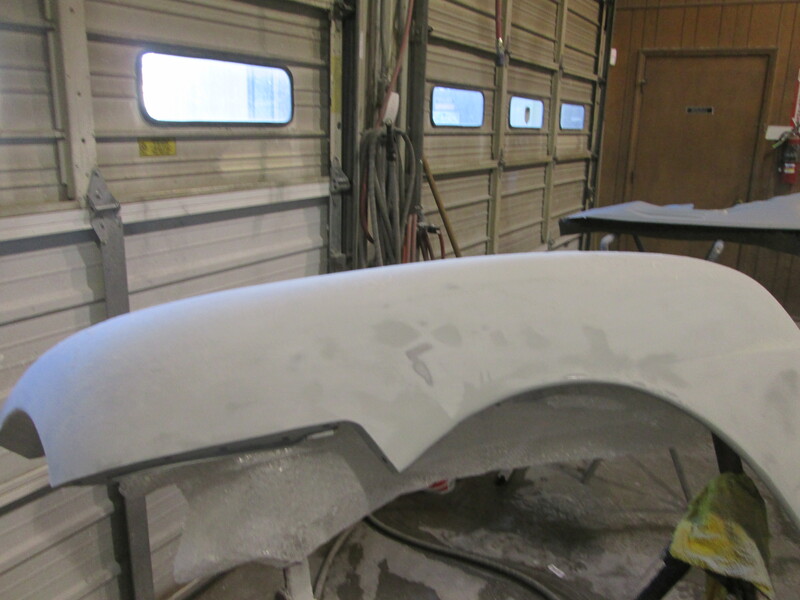 Once they were completely blocked, we started applying filler. Chris took one and I took the other. This is a not so fun part of our job but a very important one. 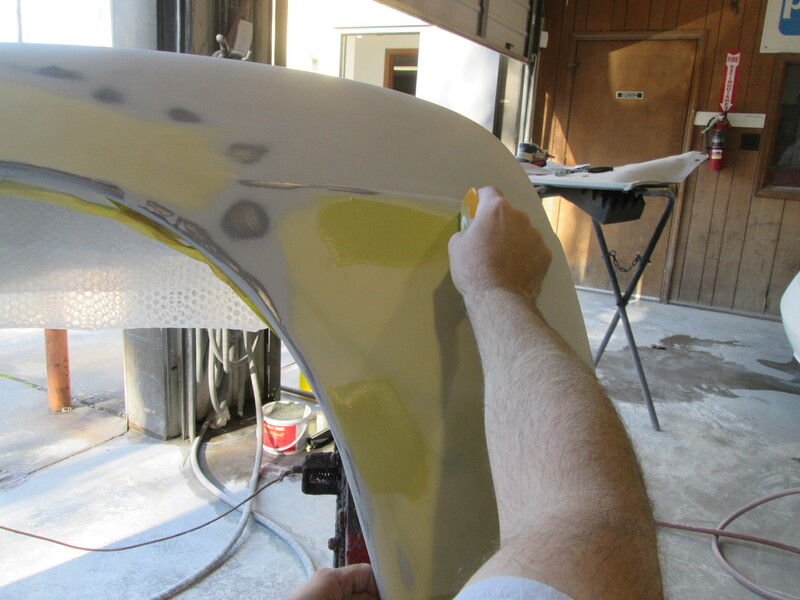 If this step isn’t done correctly the panels will look wavy and ripply, not what you want in a show car finish. 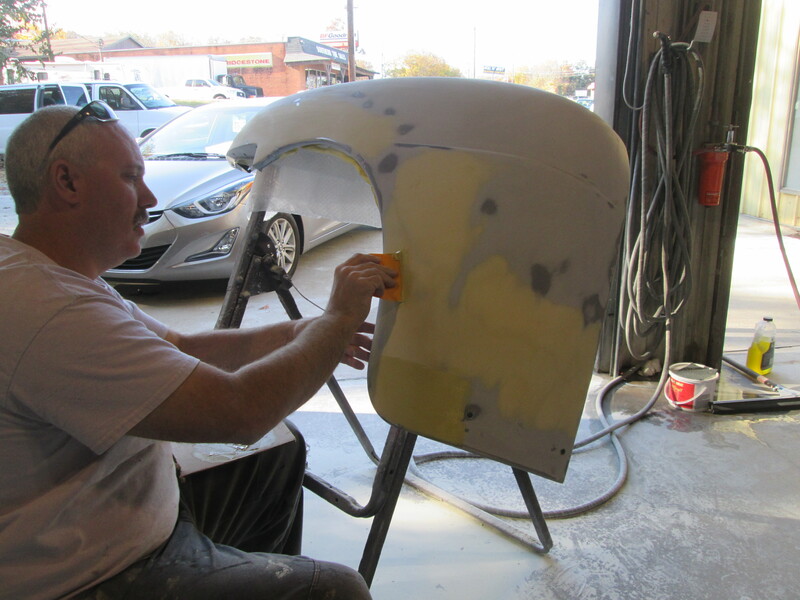 Chris and I spent most of today spreading body filler then block sanding it off. We kept telling ourselves that we were having fun, but neither of us really believed it. 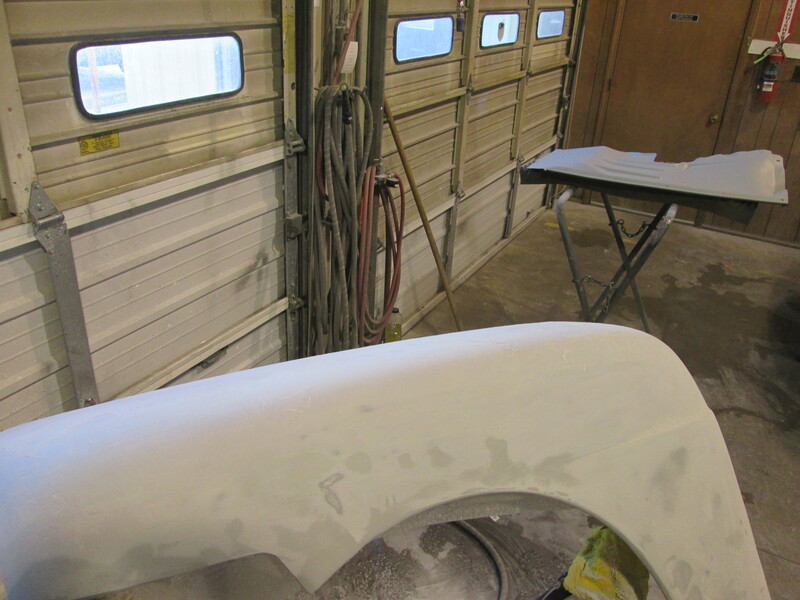 We did get quite a bit done though and only a few more hours will be required before these are ready for primer again. All in a days work. Come on back and see what we are up to. 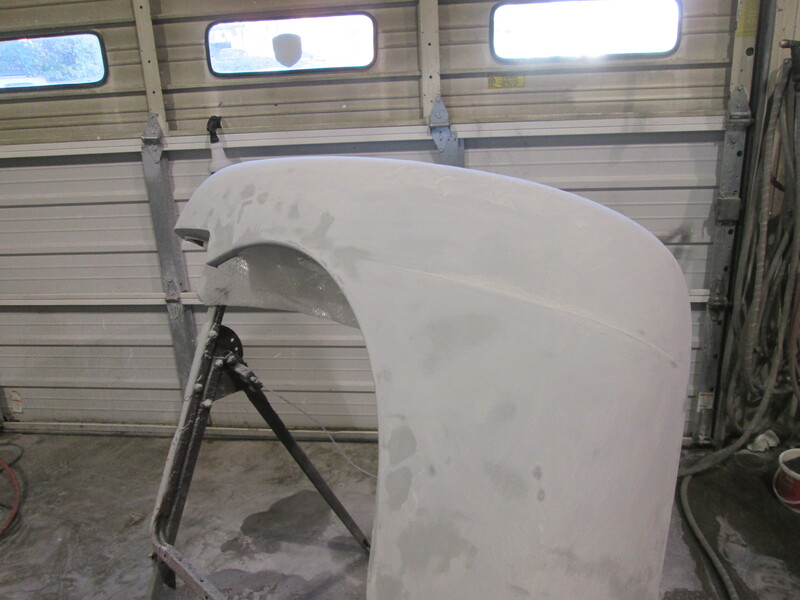 Posted on November 12, 2014, in 1952 Ford Truck, High Performance Finishes, Uncategorized and tagged 1952 Ford Truck, Body Filler, Custom paint, Ford truck, High Performance Finish, Jmc Autoworx, Metal Work, primer, slick sand. Bookmark the permalink. Leave a comment.